A single mother’s young daughter is kidnapped for muti and she is devastated. What to do? She has a choice. Let the police handle the investigation or conduct her own search. Strong Medicine is about courage in the face of adversity. It is about the human condition and how life goes on despite evil, sorrow or anger. Strong Medicine is also about the opening up of spiritual boundaries and to be steadfast for what you believe in. There is a scientific name for every illness under the sun but sadly not for the feeling that we don’t matter, especially in dealing with a bureaucracy. Angela Meadon’s main character does not break the law because she does not inherently respect it but because she respects herself to do what is just and right, also for other people and their children. I rooted for her from the moment I met her. The foreshadowing was done with skill and I anticipated the worst. This main character is smart and knows fake when she sees it. I was impressed with the world building and the cultural and gender differences were spot on. Muti murders are on the radar of the United Nations and with this book Angela Meadon touches on our social conscience. Thousands of children are kidnapped annually around the world. It happens in plain sight and we walk around with our eyes wide shut. We need the Stiegg Larssons and the Angela Meadons of this world to tell us that this horror is real and, it is on the rise. I would recommend Strong Medicine to anyone who likes to read about thought-provoking issues. Parents would easily identify with Strong Medicine because it mirrors our biggest fear: losing our children. It doesn’t matter what colour or creed, losing a child, steals a precious part of a parent’s soul. However, Strong Medicine is testament to the human spirit and the guts and gumption it takes to press on when those around you lose hope or become complacent. 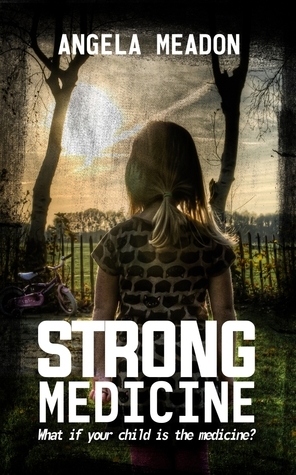 I applaud Angela Meadon for tackling this sensitive issue and I give Strong Medicine 5 stars.